Nokia extends the list of devices running on the Asha brand for the low end in Nairobi. 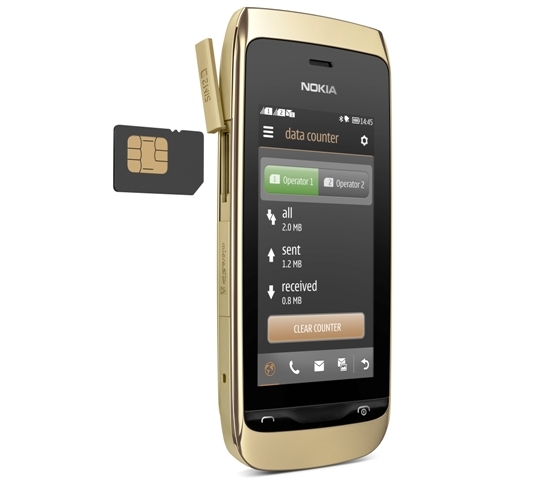 Nokia 308, a 2G phone with browsing made easier by the Nokia Xpress browser will retail at Kshs. 10,500. The device, just like other Asha phones takes the UI from the Nokia N9, called swipe UI. The Asha 308 is a full-touch device with a 3.0″ WQVGA capacitive display and multiple homescreens accessible via swiping left or right. It supports external storage via MicroSD for up-to 32GB. It will sell with a free 2GB memory card. Just like the previous Ashas, Asha 308 also gets the 40 premium games offer from EA. This phone has standalone Facebook and Twitter clients and ability to stream Youtube videos through the browser. It also has the new Nokia Nearby web app for locations discovery also linked to Nokia maps for places reviewing.